April 23, 2013 by Verle L. Bell, M.D. So what do you think? 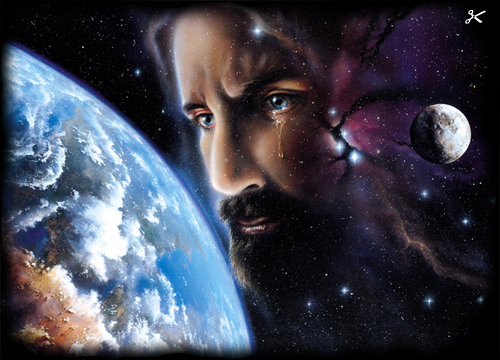 Is it OK for followers of Jesus to grieve to sorrow to mourn? Ok have you answered the question, or are you waiting to see what I say? Remember those in Thessalonica who were noble enough to think for themselves as well as open enough to listen? Well, Paul’s thoughts to them were Thessalonians 4:13 But I would not have you to be ignorant, brethren concerning them who are asleep, that ye sorrow not, even as others which have no hope. CAN YOU HEAR THE HEARTACHE OF GOD? IF GOD CAN HURT AND MORN FOR HIS LOST LOVED ONES, SURELY SO MAY WE. So, what is the difference between godly grief and the world’s? We feel loss and pain balanced with great sure hope. We worship our God in the middle of sorrowing, admitting that he is even bigger than this—whatever it is. Just as seeing the enormity of my sin can only show how big Grace is ( bigger than that) so; feeling the loss and pain brought about by living in a sin-filled world can only show how his Mercy is bigger than that. Mercy is God using the very consequences of living in a sin filled world to bring blessing and glory out of the loss. LORD THANK YOU FOR ALLOWING ME TO HURT AND FOR FEELING MY PAIN RIGHT ALONG WITH ME AND FOR WALKING IN THE VALLEY OF DEATH WITH ME. HELP ME TO ACCEPT COMFORT FROM YOU AND THEN EVENTUALLY TO POINT OTHERS TO THE SAME SOURCE OF COMFORT THAT I HAVE FOUND IN YOU. This entry was posted in Uncategorized and tagged ATTITUDES of peace and power, GRIEF, GROWTH IN SUFFERING, john 11, lost loved ones. Bookmark the permalink.